School of Medicine IT offers Webex conferencing for School of Medicine faculty, staff, and students for secure web conferencing and collaboration! Webex also provides each user with their own personal meeting room that is available any time, without the need for scheduling. Click here to request an account. Users with an account may login at https://uncsom.webex.com. Some rooms include integrated conferencing systems. These systems broadcast and receive audio and video as well as share content from the room’s PC or any other device connected to it. Users can take advantage of these systems to call into a Webex meeting or connect directly to another room. Additionally, ATS Classroom Support can facilitate the connection of multiple remote sites into one virtual meeting place if they have compatible systems. Explore our support documents to find out how to call into your Webex meeting from an integrated room system. 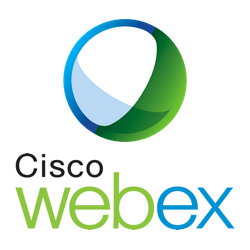 Webex is the preferred solution for web conferencing in the School of Medicine. Other web conferencing software is available on campus, and typically will work on PCs provided in School of Medicine IT supported spaces. ATS Classroom Support will offer best effort support for meetings you have created on these platforms. Skype for Business is a web-based conferencing software that is part of the campus Office365 service. Current Skype meetings scheduled by ATS Classroom Support will continue to be supported while users are transitioned to Webex. Skype for Business resources can be found on our support page. Zoom is a campus wide service provided by ITS. Due to potential sensitive data in the School of Medicine, there are some restrictions on accounts registered to our users. These features are available in our implementation of Webex. More information on Zoom can be found on the ITS Website. A secure connection is required for conferences containing sensitive data such as protected health information (PHI). All conference units operated by School of Medicine IT are configured to use a secure encrypted connection when possible. If you require a secure connection, testing must be done to ensure the remote site will be able to receive the secure connection in advance. Please indicate this need when you request videoconferencing services. Many of our rooms are equipped with either hardware conferencing or integrated web conferencing. To find out what locations have this integration, use our Room Search Tool, and select Special Features > Video Conferencing. In locations where this integration does not exist, Webex or other web conferencing can be used by requesting a USB microphone or camera be setup for your event. The School of Medicine Webex is free and available only to School of Medicine affiliates. Most services are provided at no cost for School of Medicine faculty, staff and students as well as other groups reserving our rooms. Non-standard requests may be charged at the School of Medicine IT End User Support rate of $80/hour per staff member. Support outside of normal business hours (M-F, 7:00 AM – 5:00 PM) is charged at the overtime rate of $120/hour per staff member.